I have written in the past about the fact that I am fortunate to be the Chair of the Tennessee Bar Association’s Standing Committee on Ethics and Professional Responsibility. Because our committee is currently beginning a process of chewing over whether to try to recommend changes to the advertising rules in Tennessee, I’ve been trying to pay closer attention to developments in other states. Specifically, trying to pay closer attention to whether the revisions to the ABA Model Rules inspired by the work of APRL are moving the needle in the correct direction. Long time readers of this space will know that my long-espoused view is that the only real rule needed in terms of lawyer advertising is a prohibition on false or misleading communication. The ABA Model Rules have moved closer – but not all the way of course — to that kind of approach. Today’s post is about the fact that the Texas Committee on Disciplinary Rules and Referenda has proposed revisions to Texas’s ethics rules on advertising that are open for public comment until March 1, 2019. You can read the proposed revisions here. The short version is that these proposed revisions seem like a very positive development in a few respects as to regulation on lawyer advertising. The biggest positive is that these changes would replace wholesale the kind of improper categorization of certain statements that can be made truthfully (like comparison of one lawyer’s services to another or discusses past results obtained for clients) currently housed in Texas’s Rule 7.02(a) with a revised Rule 7.01 that isn’t perfect in terms of just prohibiting actually false or misleading communications but is better. Unfortunately, the other piece of the short version is that the Texas revisions would still perpetuate a very pernicious and unnecessary barrier to speech in the form of filing requirements and payments in the form of filing fees for any advertisements that are not limited to certain types of “pre-approved” information. (3) payment to the State Bar of Texas of a fee set by the Board of Directors. For context, currently the fee is set at $100. You can review the relatively invasive application form that is required and all of its bells and whistles here. In reading it you will also learn the cute part where if more than one lawyer in separate firms is involved in the same advertisement they are still each required to separately submit applications and pay multiple $100 fees. The proposed revision would also exempt certain limited types of communications from these requirements as long as they only contain the “vanilla” categories of information pre-approved by the regulators. Such a regulatory regime does not exist for any reason other than to fundamentally discourage advertising., should not be tolerated, and pointlessly mars any progress the Texas proposal otherwise offers. Friday Follow Up: Despite “Full Stop,” lawyer still might not stop. Last year, I wrote about the curious case of a Tennessee lawyer who demonstrated that while it is difficult to get disbarred over a conflict, it is not impossible. You do have to try really, really hard though. Perhaps not surprisingly, the lawyer’s Quixotic continuing violation of the First Rule of Holes had at least one more wrinkle to it as the Tennessee Court of Appeals revealed in an opinion issued yesterday. In addition to the all of the various activities that the lawyer in question continued to pursue, despite having been suspended from the practice of law, mentioned in the order of disbarment entered last year, there was one other pretty remarkable one that didn’t get discussed in that order. In November 2017, the lawyer filed a petition for contempt against the receiver and a number of attorneys back in the original 2002 case at the trial court purporting to act as a pro se party. As disciplinary counsel across the country will gladly tell you, one frustrating fact of life even after disbarring a lawyer is that the lawyer can still file lawsuits representing themselves – and they often do against those that they believe wronged them in the disciplinary process. The problem for this lawyer though was that he wasn’t actually a party to the litigation, just prior counsel of record, and he didn’t undertake any sort of filing to seek to intervene and be made a party in the underlying litigation. The relatively short appellate opinion issued yesterday details that the trial court astutely figured out that this was a problem and that the lawyer’s conduct was “subterfuge to circumvent his suspension from the practice of law.” It also succinctly addresses and rejects the “somewhat perplexing” arguments the lawyer continued to make on appeal to justify his conduct. Perhaps tellingly in trying to determine whether this will be the last of the efforts, the lawyer attempted in the appeal of that matter to argue that the orders of the Tennessee Supreme Court suspending him from practice were not valid. The saddest part of that whole story still seems to be that, prior to this more than 15-year period of losing the plot over this one piece of litigation, the attorney had no prior disciplinary problems. Tennessee, of course, is not alone in having these kinds of stories. In fact, you can go read about a very remarkable new one out of Pennsylvania here if you so desire. That lawyer is a former state legislator with a clean prior disciplinary record over many years who has now been suspended from practice for 2 years over what the ABA Journal highlights was an inability “to take no for answer.” As the 46-page report that originally recommended a 5-year suspension explains pretty exhaustively, the underlying case that this lawyer refused to let die involved a client seeking less than $4,000 in damages who apparently was willing to ratify the litigiousness as a matter of “principle” but has now had to file bankruptcy. At the end of the year, he rebroadcasts what is his favorite episode of his podcast performed in the prior year. He manages to do it in a way that is likely much less heavy-handed than I will and also manages to come across entirely self-effacing in evaluating his own content. 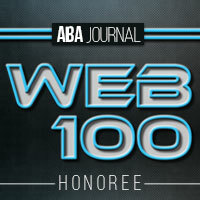 I wasn’t entirely sure I could pull something like that off – and still am not so sure — but thanks to the ABA Journal Web 100 recognition this year, there are undoubtedly some new eyeballs at this site that likely didn’t read everything I wrote before that development. So, with many of the same caveats that Nate offers, here goes. This is not necessarily the best thing I wrote this year or even the thing that sparked the most views or interest, but it is (for a variety of reasons) my favorite post from 2018. It was written in June and was titled: “Time to choose: are you Illinois or New Jersey?” So, in case you missed it the first time, I’m putting it right down below these words without any further editing or re-writing [i.e. warts and all], which might be the hardest part of re-publishing it. Barack Obama or Chris Christie? Some of those are easy calls; some are harder decisions to make. What they all have in common though is that one comes out of Illinois and the other comes out of New Jersey. As to the future of legal ethics, we now face a similar decision that has to be made. Are you down with what is coming out of Illinois or will you choose what New Jersey has to offer? I’ll explain further. Avid readers of this space will be well aware that I have devoted quite a few bits and bytes to discussions of the evolving market for legal services and the push/pull in place between companies that push the envelope of what lawyers can do under existing ethics rules and various ethics opinions that have been released explaining how lawyers can or cannot do business with such companies. In order to avoid spamming this post with about 10-15 links to previous posts of mine, I’ll just say that if you are just getting here for the first time (welcome! ), then look through the older posts for ones with the tag “Future of Legal Ethics” and you are sure to find one pretty quickly that discusses these topics. Within the last couple of weeks, these have been the two developments that pretty nicely identify the choice that lawyers (and the legal profession) face. First there is the Illinois development. The Illinois ARDC — which is Illinois’s regulatory and disciplinary agency [Attorney Registration and Disciplinary Committee] — issued a more than 100-page report making the case for why the ethics rules need to be overhauled to permit lawyers to ethically participate in “lawyer-matching services” such as Avvo and other platforms but that, along with such changes, there need to be regulations adopted to impose certain requirements on such companies and platforms for lawyers to be able to participate. In large part, much of what Illinois describes sounds a bit like a subtle variation on RPC 7.6 in Tennessee that I have written about in the past. But it still also requires fundamental changes to other pieces of the ethics rules addressing financial arrangements between lawyers and those not licensed to practice law. By way of juxtaposition, the New Jersey Supreme Court, asked to review a joint opinion issued by its legal ethics regulatory body, its advertising regulatory body, and its body focused on UPL aligned with other jurisdictions that have issued ethics opinions prohibiting lawyers from participating in programs like Avvo Legal Services, declined to review the opinion or otherwise disagree with its conclusions. For my part, I think the choice is an easy one to make. But, the most important thing for today (IMO) is for people to understand that there really is not a middle ground position here — you are going to have to make a choice and you are going to have to decide that you are either on board with the Illinois approach or the New Jersey approach to this topic. Just two short items by way of follow up from pieces I’ve written about in the past here. First, I’ve written several different posts about the saga down in Florida that appeared to be one of the first big disputes – post the U.S. Supreme Court decision in the North Carolina Board of Dentistry case – in which the rise of technology and alternative methods of delivering legal services to consumers would be pitted against traditional bar regulation with antitrust law issues serving as the rules of engagement. You can read each of those older posts at the links above and this one right here too. If you haven’t read any of those earlier posts, or don’t know the reference to the Florida litigation, TIKD is an app that you can put on your phone to use to resolve speeding tickets and similar moving violations without ever having to go to court yourself. It arranges the retention of a lawyer for you and even provides you with a financial guarantee on cost and a promise to pay court fines for you if unsuccessful. The company behind the app filed an antitrust lawsuit against The Florida Bar and a Florida law firm (The Ticket Clinic) challenging allegedly conspiratorial conduct designed to damage TIKD’s business operations. I’ve focused so much on the dispute and what its ramifications might be that it would be a pretty big cop out not to mention the fact that the federal district court in Florida issued a 1-page order earlier this month granting the Florida Bar’s motion to dismiss the antitrust claims against it. It is a classically unsatisfying order for an outsider to litigation to read because it offers no insight into its rationale other than to say it ruled that way based on the “reasons stated at the motions hearing.” Having followed the events, I would think the reasons have to be a belief that, despite the fact that the Florida Bar regulators include market participants, the regulations they are enforcing are clearly delineated and emanate directly from the Florida Supreme Court. Assuming there will be an appeal, then there may be more discussion of how this shook out, but, for now, it appears that TIKD’s shot at the regulatory framework in Florida ended up being full of sound and fury but signifying nothing. Going much back further into the archives, you will find a couple of posts expressing frustration and outrage with a particular Wisconsin lawyer who became infamous (at least for a while) with the release of Netflix’s Making a Murderer documentary. You can read my original thoughts on the awfulness that was Len Kachinsky’s way of practicing law here and here. His was a name I was never hoping to run across again so it was quite a roller coaster of emotions to simultaneously learn that Kachinsky had been arrested and charged with stalking but to simultaneously learn he had been acquitted of the charge. The roller coaster ride went even lower though at the moment the words I was reading about his employment situation fully engulfed me … he had become a municipal judge in Wisconsin. WT actual F Wisconsin? Are y’all not even trying? How can that guy have failed upward into a position in your judiciary? How is he allowed to preside over any case about any thing? That’s just a travesty. You’ve probably heard this news by now. But, it’s Friday and I wrote about this before, so … I feel a sense of obligation to follow-up. The Florida Supreme Court ruled yesterday that the fact that a judge is Facebook friends with a lawyer appearing before her in a litigated matter is not alone sufficient to justify disqualification of the judge. You can read lots of good articles providing summary treatment of this decision. I’d recommend this one from the folks at Bloomberg/BNA. [T]he mere existence of a friendship between a judge and an attorney appearing before the judge, without more, does not reasonably convey to others the impression of an inherently close or intimate relationship. No reasonably prudent person would fear that she could not receive a fair and impartial trial based solely on the fact that a judge and an attorney appearing before the judge are friends of an indeterminate nature. Facebook “friendship” is not—as a categorical matter—the functional equivalent of traditional “friendship.” The establishment of a Facebook “friendship” does not objectively signal the existence of the affection and esteem involved in a traditional “friendship.” Therefore, the mere existence of a Facebook “friendship” between a judge and an attorney appearing before the judge, without more, does not reasonably convey to others the impression of an inherently close or intimate relationship. I’m writing today about this more to make three points that I feel like have to be said out loud. not to participate in Facebook.”) demonstrates a majority of the Court (4 justices) believes that judges simply shouldn’t be on Facebook at all. There are legitimate reasons why maybe all of us should delete Facebook, but the reasons espoused by the dissent and concurrence aren’t among them. If you are in a band and aren’t actively considering naming it, or changing its existing name to,”Friends of an Indeterminate Nature,” then I don’t really think I can ever understand you.